The Mumbai Metro Line II, originally planned to run from Colaba to Charkop (about 40 km), with Colaba to Mahalaxmi as underground. The underground stretch that was extended in plan up to Bandra (around 20 km) was changed to Charkop-Bandra-Mankhurd (about 35 km), all elevated. This was done primarily due to cost considerations. As per a detailed article by the author in 2006, the underground stretch costing Rs975 crore per km would have touched Rs19,500 crore, in addition to elevated section costing about Rs4,000 crore, thus exceeding the entire projected cost of Rs19,525 crore for the 146.5km of Mumbai Metro Master Plan of 2004. This proves not just an error but falsity in estimates projections to get the Metro Master Plan cleared by the Cabinet. 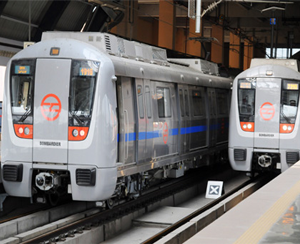 From the experience of ongoing Mumbai Metro Line I, anticipating adverse effect to quality of life and commercial activities, the residents and commercial establishments along Bandra-Andheri section had engaged Prof Dhingra, noted expert on transportation engineering from IIT Bombay, to independently verify their fears. Prof Dhingra’s report clearly established that Socio-Techno-Economic study directs that the Metro should be underground and not elevated. With adverse effect on commercial activities, it must be understood that the livelihood of many who are employed is also at stake. Considering this, the Mumbai Metro Line II was dropped, at least for the time being. When Maharashtra State Road Development Corporation Ltd (MSRDC) was established by government of Maharashtra to prioritise urban area infrastructure, especially in Mumbai, among various flyovers, the Haji Ali to Wilson College viaduct was conceived. The route was Haji Ali, Tardeo, Nana’s Chowk and Wilson College. At some sections, it was in two layers. This would mean that all the southbound traffic would go via this route and definitely significantly add to the air and noise pollution on the route that already was having considerable traffic of its own. With time and increasing traffic, air and noise pollution would get worse. The residents and commercial establishments on this route protested. Thus far, the culture of public consultation did not exist in government planning. With people’s protests, government of Maharashtra, in 1999, decided to appoint a One Man Expert’s Committee, Prof Dhingra, to carry out feasibility study for mobility of motor cars from Haji Ali to Marine Drive (Wilson College). The study considered five options. (i) Things as it is (and possibly considering one-way system with contra-flow-lane for bus routes), (ii) single deck flyovers, double decked at some stretches, over Haji Ali-Tardeo-Nana Chowk-Wilson College, (iii) single deck flyovers one over Haji Ali-Tardeo-Nana Chowk-Wilson College, and the other over Pedder Road-Babulnath-Wilson College. (iv) single deck flyover over Pedder Road-Babulnath-Wilson College route and (v) Several short flyovers at Haji Ali, Tardeo, Nana Chowk, Babulnath and Wilson College. The study directed to the option (iv) – the Pedder Road viaduct. However, what has been ignored by the government and MSRDC is a strong recommendation of strengthening bus public transport. This was the time, when the Bogota Model of Bus Rapid Transit was in implementation stage, not operational stage. We are all generally conversant with protests from Pedder Road residents. In order to pacify influential residents, MSRDC has held two ‘public consultations’ over the past decade. Politically, government is determined to establish that it is ‘supreme’, its actions are for public welfare and Pedder Road has become an issue for the state government to pursue with. On the other hand, residents have established that after the construction, neither would the temporary improvement in vehicular flow sustain and be significant nor would air and noise pollution, which will, in fact, deteriorate. The Pedder Road residents looked for some alternatives that would improve the vehicular flow at Haji Ali. They have come up with an underpass concept that would not mar the aesthetics of Haji Ali junction while providing vehicular mobility. The through-tunnel concept is also being talked of. The latest idea is to provide a flyover from Haji Ali to Jaslok Hospital where the road is much wider and is not expected to cause congestion as is found generally along slip roads. This alternative is by MSRDC, clearly looking for government establishment of supremacy over citizens. The 25kms Mumbai Trans Harbour Link (MTHL) project that all along MSRDC was trying to get it moving off the ground without success was transferred to Mumbai Metropolitan Region Development Authority (MMRDA), another state-run agency, hoping that it would get on to execution stage. MMRDA too have not met with success so far. The two state-run agencies work under two opposing political parties in the coalition government. Therefore, Pedder Road flyover has become ‘Brownie Points’ to score for MSRDC. They are fully determined to construct it. In this muddle, what is lost out is the strong recommendation by Prof Dhingra for strengthening Road Public Transport in Mumbai. The author has been consistently emphasising this, in his articles, utterances at the public consultations, his notes to the government and to the Ministry of Urban Development. There can be no improvement in road congestion levels in Mumbai, whether at Pedder Road or elsewhere, if priority is not given to mobility of people and not vehicular traffic. Efficient road public transport is possible by properly designed Bus Rapid Transit System (BRTS). Democracy is sham if 95% of on foot road and public transport users have to give in to the requirement of 3% population using motorcars, which is the main cause for congestion. Whether it is the shortened Pedder Road flyover option or the “underpass” option or any option anywhere, road infrastructure must be planned with priority for pedestrians traffic, non-motorised vehicle traffic (since they exist and slowdown motorcar traffic) and the BRT. If this is not done, every road user has to suffer road congestion, air and noise pollution, and continue to contribute significantly to global warming and climate change. Do those in government understand this? Citizen’s voices do get heard, and if government does not wish to hear it, the court of law exists, environment protection law exists and Right to Life, article 21 of Indian Constitution exists, which guarantees safe and comfortable life to its citizens. Choosing to keep quiet will only worsen the citizens’ plight. Infosys, taking a note of issues raised by Moneylife, has accepted that there were some problems with MCA21, the e-filing portal of Ministry of Corporate Affairs (MCA) due to updation of its intrusion prevention system (IPS) signatures. In an email response to our queries, V Balakrishnan, member of the Board at Infosys, said, "...of late the users have faced failures in uploading submissions and making subsequent payment of the fees. The root cause of the error was traced to our intrusion prevention system (IPS) whose signatures were updated recently. The signatures were updated after an advisory on cyber security attacks. One of the signatures was causing the system to interpret legitimate e-Form uploads as intrusion and resetting the client connection. The same IPS was also blocking redirection to the payment gateway. The issue was resolved after the specific signature was modified on 16 September 2013." "MCA-21 is a very important project for us and we will take every effort to make this work to the satisfaction of all the stakeholders. We had met with various professional bodies recently to address all their issues.” Infosys is meeting more users at its campus to apprise them all the initiatives taken and also to address his specific issues, Mr Balakrishnan added. As reported earlier, a group of Chartered Accountants (CAs), Company Secretaries (CS), CWAs, lawyers, companies and consultants have started an open petition on Change.org to highlight the issues they are facing everyday due to malfunction of MCA21 portal. Binoy Chacko of BG & Associates had said, “The difficulties created by MCA21 are resulting in huge penalty, duplicate fee payments, and waste of professional man-hours across country, delay of application or approval process at Registrar of Companies-ROC and MCA offices." As Moneylife has reported several times in the last eight months, MCA21, the showpiece of e-Governance and corporate filing portal, which, for the first time has made all corporate filings available online, has been sputtering. This is especially after Tata Consultancy Services (TCS) handed over the portal to Infosys. Since then, people accessing MCA21 for paid information or mandatory filing have been facing a nightmare. This was supposed to be simple handover involving two of India's best and most reputed software companies. On 16th January, Tanmoy Chakrabarty, the head of Government Industry Solutions at TCS told Moneylife, “There was a round of bidding after the first seven-year contract was ending. We lost to Infosys on the price front in the MCA 21-II and we have gone through the full transition. In fact, at the end of business day today we have handed over all systems to the ministry of corporate affairs (MCA) and Infosys Technologies”. At that time, the ministry had said the portal (MCA21) was undergoing transition of its operations and services to a new service provider. But there were a full 120 days provided in the contract for training and transition before the handover was completed. And TCS claimed that this was fully done to the satisfaction of Infosys as well as the ministry. According to Mr Balakrishnan of Infosys, the system had teething issues during the transition due to some problems and they have worked to fix all of those. "The fact is that we inherited a system from the earlier service provider with many components which were past its end life with lots of manual scripts at the back end. We had put in enormous amount of efforts in reconfiguring the system, automating the scripts, upgrading the technology while making the disaster recovery system more robust," he said. He added, "At the outset let me reiterate on behalf of Infosys that we consider MCA21 to be a project of national importance and shall do whatever it takes to do a professional job to the satisfaction of all stakeholders. We assure you that you will see significant improvements in the system going forward." Here is an excerpt from a detailed technical note from Infosys to Moneylife. Additional/Upgraded servers such as Back Office database server, Monitoring Report Server, LDAP server. Replacement of Network elements such as Cisco Firewall, Core Switches, Routers, Riverbed WAN optimizer, Radware Load Balancer. Migration of the database to newly installed servers for better performance and stability. Implementation of Linux based new LDAP servers (more number of cores), thus eliminating the frequent crashes of old LDAP servers. Upgrading Software components such as LDAP and DB2. Upgraded Bandwidth and Client Infrastructure refresh for Field offices. Root cause Analysis of the issues: One of the most common issues raised by the stakeholder was the failures in uploading submissions and making subsequent payment of the fees. The root cause of the error was traced to our Intrusion Prevention System (IPS) whose signatures were updated recently. The signatures were updated after an advisory on cyber security attacks. One of the signatures was causing the system to interpret legitimate e-Form uploads as intrusion and resetting the client connection. The same IPS was also blocking redirection to the payment gateway. The issue was resolved after the specific signature was modified on 16 September 2013.
a. The improvements made in infrastructure as above have been supported by augmentations in manpower for providing Helpdesk support and for ticket resolutions to cater to higher traffic in the peak filing period. b. We have upgraded / added new hardware. These changes have already been deployed in production as of 9th September 2013. We are monitoring their performance and are making necessary changes as required to ensure that we have a stable environment with added capacity prior to peak filing season. We would like to point out that the number of filings done in MCA portal for the period 16th August to 16th Sep for 2013 shows an increase compared to 2012. The ticket pendency is down to 350 from the highs of > 6000 in May 2013 time frame. Please note that the ticketing process has a facility by which the originator is informed of its closure and the originator can reopen if not satisfied. a. We are actively pursuing the issues reported by stakeholders in the past few weeks and have significantly increased field contact with stakeholders. We have conducted interaction sessions with stake holders at Delhi and have planned for stake holder interactions at Kolkata on 18th Sep 2013 and Hyderabad on 23rd September. b. Our teams have been meeting stakeholders in various cities, Delhi, Mumbai, Bangalore, etc. to see their issues first-hand and offer resolutions to their issues. Till date we have met more than 50 professionals in all these cities and we will continue to do so in the coming weeks as well. c. We are also taking measures to address the issues through stakeholder education, improvement in system messages content. Future plans: The MCA system was built over a period of six years. We have been running it and resolving the teething issues of upgrading a live system. A week after the meeting, TCS took several steps like appointing a seasoned Verification Officer (VO) before Counter ‘A’ where documents are blindly scanned; extending the online appointment date to a week instead of a day; putting up boards to warn against illegal passport agents and putting up prominent boards to list the documents required for various categories of passports. I rxd my 2Wheeler renewal notice from NIA. It had no renewal premium mentioned. It just asked me to contact branch for renewal premium. I tried online renewal but was stonewalled "more than 10Yr old vehicles, renewal can't be done online". When I lodged a comliant with NIA & IRDA, NIA replied that I should visit the branch with my Scooter for chking its condition. I had 50% NCB for past 5 Yrs & never made a claim. I asked NIA if they have a mechanic at their office to check my scooter or a Surveyor? They said neither. Then they told me orally the renewal premium on phone & refused to send me a proper renewal notice. I will NEVER take any insurance from a Public sector insurance company in future. I have asked a Pvt Insurance to provide a quote & will be changing my Insurer. whereas section 445 of the companies Act, 1956, obliges every Petitioner to file the order of Winding up, which is filed in his Petition. The said Petitioner may be an individual or the partnership firm. Nobody in the RoC has the answer as how this Petitioner would upload this winding up order with RoC. Nice Observation Sandeep. Earlier to my experience, there was no system to read and check postal mail. One DIN officer told me that she receives thousands of postal mail and asked me to resend the details by DTDC which costed me INR 150.00 extra and loss of 4 months. Although PAN number was mentioned in the earlier offline DIN application, although DIN was processed on the basis of PAN photocopy attested by Class I G officer as valid ID proof, they want me to use to DIN 4 for updating PAN number, this is really funny side of MCA 21, isn't it? And it is amusing that someone who don't have common sense of reading and understanding Marathi names, asked me to change father and I refused and lodged 7 page written protest with DIN officer. How to change father, MCA better put on their website or employ sensible executives and not merely so called highly qualified technical kids. There is a similar situation with New India Assurance Company for issuance of insurance policies - portal based. At new India Assurance- organisations involved are TCS and Wipro.Software is in a TOTAL mess.Brokers and Agents are just bearing the brunt.Problems are faced for almost over ONE YEAR. Above mentioned system MESS is further worsened by in-competent data entry - unionised operaters and in-competent and inefficient Managers of New India Assurance. There are plenty of mistakes in policies issued and renewal notices are wrongly generated or even NOT AT ALL generated with lot of delays.In case of Mediclaim policies-wrong data sent to TPA can create problems at the time of claim. Policy holders are asked to send BLANK cheques since renewal premium calculations are in MESS.If excess premium is paid-refund is given after couple of weeks/months. Above mentioned situation results in huge loss of man hours of brokers and agents as its happening with MCA21 portal. Any brokers/agents of Newindia Assurance reading these comments may add their experiences. I am sure situation is similar with other PSU General Insurance cos.
Good at least they agreed that there were / are isssues. 2 plus 2 is equal to 4 and not eight. Unfortunately they could not agree earlier at CPC Bangalore which is now ISO 15489-1: 2001 certified unit. Seeking answers from any service providers, for their deficiency in service or malfunctions in software, are never easy to seek answers. I am happy that the issues are getting addressed in a very open fashion, rather than being shoved below RED CARPETS .. ..true democratic processes being evolved. Great work by Moneylife to get this information. Congratulations! The background shows a histogram, which appears 9 seconds into the TVC and lasts 5 seconds long. It presumably portrays the diminished quantities of micronutrients Vitamin A, Vitamin B and Folic acid in boiled milk. According to Livestrong.com, “Food safety is the primary reason for boiling milk. Milk boils at a temperature at or above the boiling point of water depending on the milk's fat and sugar content and the elevation at which the boiling occurs. This boiling temperature kills any bacteria and other microorganisms that may be in the milk. The present Horlicks TVC broadcast on national television, particularly on Sony TV, during the Indian Idol Junior contest, appears to insidiously promote a trend of raw consumption of milk. It does this by dramatically overemphasising the supposedly significant loss of certain 'micronutrients' (vitamin A, vitamin B and Folic acid) to the extent of 25% due to boiling of milk. The fact that folic acid (vitamin B9) also belongs to the family of vitamin B seems to have escaped the minds of those who made this TVC! Now milk is consumed primarily as a source of valuable macronutrients belonging to all the three groups: proteins (casein and whey proteins), a wide variety of healthy fats (C4-butyric acid to C20 arachidic acid, CLA-conjugated linoleic acid, MUFA and PUFA) and carbohydrate (lactose which is a disaccharide of glucose and galactose). As a primary food, milk is foremost a provider of macronutrients to weaned infants, children, adults, sportspersons, physical culturists, and convalescing patients. Vitamins are ubiquitous across various food groups in nature and milk is not exactly known as a vitamin powerhouse but rather as a provider of quality macronutrients, especially proteins and fats. Milk proteins are the best form of proteins according to National Institute of Nutrition, Hyderabad. A glance across any bodybuilding, strength training or athletics magazines will show you advertisements of muscle building formulations primarily containing either whey or casein proteins, both derived from milk. If micronutrients are your need, the significant food substances that should be on your plate, are foremost green as well as colored vegetables (leafy and root), fruits, beans (especially sprouted) and lentils. Consuming these in adequate quantities will more than make for the deficiency of nutrition in relation to vitamins A, B and folic acid, more that anyone might suffer on account of boiling of milk as GSK puts it in their Horlicks TVC! The table below shows how GSK compromises the nutritional value of its brand Horlicks by reducing its micronutrient value in smaller packs; targeted at the bottom of the consumer pyramid—poorest socio-economic group. Please note, that I have mentioned just vitamin A and those of the B family because these were being overemphasised in the “Doodh ki Shakti badhao” Horlicks TVC. But, as a matter of fact, even vitamin D and biotin are in diminished quantities as the Horlicks pack size becomes smaller. Observation: Macronutritionally significant and proteinaceous elements such as malted barley and milk extracts reduce significantly as the Horlicks pack size reduces from 500gms to 10gms! Wheat flour a lesser quality macronutrient in comparison to milk and malted barley extracts increases in the Horlicks formulation when the pack size reduces from 500gms to 10gms. # 80gms pack and the irrational 10gms packs of commercially sold Horlicks are micronutritionally as well as macronutritionally very deficient as compared to the 500gms pack and if one were to rely on them for one’s RDI then the economic loss to him or her would be that much more! As can be seen the addition of 27gms of Horlicks to 200ml of boiled milk contributes only to a small percentage of micronutrient RDIs. * From Dietary Reference Intakes Tables and Application, Institute of Medicine of the National Academies. Horlicks has been positioned or perceived as bedtime hot milk drink in the country of its origin, United Kingdom, for a major part of its existence, for over 135 years. In India, the same brand with no remarkable difference in composition from its UK counterpart is projected as a remarkable nourishment provider, which promotes growth, attention and concentration in children of school-going age. Outside of India, in more consumer-aware and well regulated societies of Asia like in Malaysia and Singapore, GSK does not make any manipulative claims regarding Horlicks as it does in India and its immediate neighborhoods. Given below is a photograph of Horlicks poster from Malaysia which is devoid of any tall claims. Now, macronutrients (fat+protein+carbohydrate) together constitute 11.3% in cow’s milk and 15.8% in buffalo milk. If micronutrients are the only criterion, then it is better to consume a rational multivitamin formulation with a glass of 200 ml of cow or buffalo milk. Even if you consider macronutrient groups, Horlicks formulation does not enhance the macronutrient profile of milk by much. As a matter of fact, consuming buffalo milk with fortified multivitamin capsule works out even better both in terms of cost-effectiveness and micronutrient requirements than with added Horlicks. Further, if flavor is a consideration then one can easily add readily available flavors to just plain milk whether buffalo or cow to suit one’s taste. In conclusion, GSK Consumer Healthcare violates ethics and consumer rights first by making manipulative as well as misrepresentative claims through the medium of television commercials and then by compromising upon Horlicks formulation both in terms of quantity as well as quality of macro as well as micronutrients in relation to reducing pack sizes and thus peddling inferior and even irrational products. GSK itself states on its 80gms Horlicks commercially available pack under the tagline “My perfect cup of Horlicks!” to add 3 heaped teaspoonful (27g) of Horlicks to 200 ml of milk and “as much sugar” as one likes! Never mind the fact that 27gms of Horlicks contains 8gms of sugar! Mounting medical research globally, since the last two decades, shows sugar as an etiological factor in a host of metabolic diseases, which impinge upon the quality of human life; many governments across the world have started taking note of sugar as a reason behind the world’s obesity problem. Many scientists also suggest the curbing or regulation of sugar intake and even advocate regulating it along the lines of tobacco and alcohol for sugar is a chronic metabolic toxin. Yet GSK encourages its consumption because its malted beverages taste better with sugar! Sweet Idols-Part 1: Are you eating more sugar than required? Thank you for such an interesting article.A show cause notice nas been issued to the company today by me as a Food Safety Officer Food Safety & Drug Administration Deoria Uttar Pradesh for violation of section 24 of the Food Safety & Standard act,2006 which is punishable under section 53 of the same Act.If found guilty the company will be fined for upto ten lakhs .The company has been directed by me to stop airing The TVC further until the enquiry is completed. Quite well written article; the analysis makes me more aware of corporate science (kind of a pseudo science). Excellent analysis that has zeroed down to machinations of Multinationals to the finest details. "Ethics and Consumer Rights" Ko Ghor Kar Horlicks Kay Sath Pena Aur Pilane Ki Abb Parampara Chal Chuki Hai. Quite in line with the behaviour of MNCs in India. Glaxo had been caught releasing expired drugs through a scrap dealer, nothing came of it. HUL washing soaps contain no lime, yet they still say "100 limbuon ki shakti" with a fine print which I challenge their Chairman to read in a TV ad. Lifebuoy supposedly saves you from infections, must be under test conditions !! Dettol soaps are of more cosmetic value than medicinal use. As for the fair and lovely creams, all these MNCs would have been sued and forced to stop sales of these products. This is trying to influence consumers to thick only fair people matter, not the brains or attitudes. In India, with a corrupt administration, anything can be sold, any claims made. A show cause notice nas been issued to the company today by me as a Food Safety Officer Food Safety & Drug Administration Deoria Uttar Pradesh for violation of section 24 of the Food Safety & Standard act,2006 which is punishable under section 53 of the same Act.If found guilty the company will be fined for upto ten lakhs . WELL DONE.WILL THE AUTHORITIES LISTEN AND TAKE ACTION? Kudos and excellent write ups Dr. Shenoy. And many thanks for getting into lime lights. As a Nutritionist I am on your side. Good story covered by moneylife. Good work. Keep it up. Informative article on deteriorating advertising standards. Isn't this something that would fall within the ambit of Advertising Standards Council of India (ASCI) ? Very well analyzed and argued. Kudos. 1) Is milk really necessary for anyone above two year olds? 2) Milk contains items similar to cancerous elements and people have written books entitled 'Milk is poison" etc. What is your expert comments on this? 3) Vegan food eaters don't include any milk or any derivatives thereof and also any oil. Pl give your detailed explanation. I had attended one of your demo sessions at Moneylife , few months ago, on milk adulteration and had thoroughly enjoyed it. Which Govt. Dept. will take a stand against these giant MNC's? In India Companies can get away with almost anything in their advertisements. Ads for fairness creams and surrogate ads for liquor companies are prime examples.